Hello there! I have one last homework assignment to share from Online Card Classes - Merry Making. This one is for Day 3, which was focused on using non-holiday stamps on holiday cards. I made the wreath by using gold ink and stamping leaves in a circular shape. 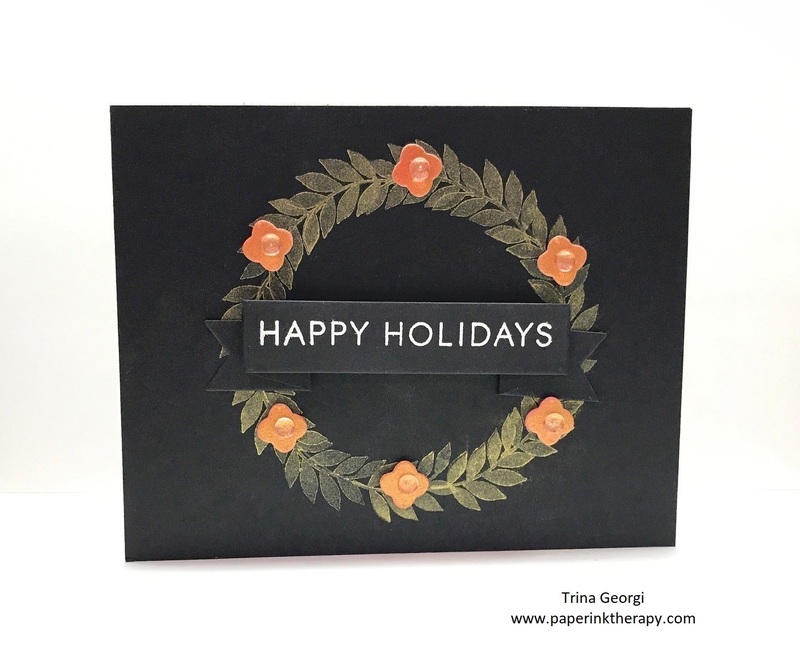 I had a hard time finding a red ink that was vibrant enough for the black cardstock, so I made my own glossy rose gold cardstock to die cut the flowers from. Add some embellishments, a banner, and voila - I've got myself a holiday card!